Wow... a new corn! This seed was given to us from a small farmer in Georgia. 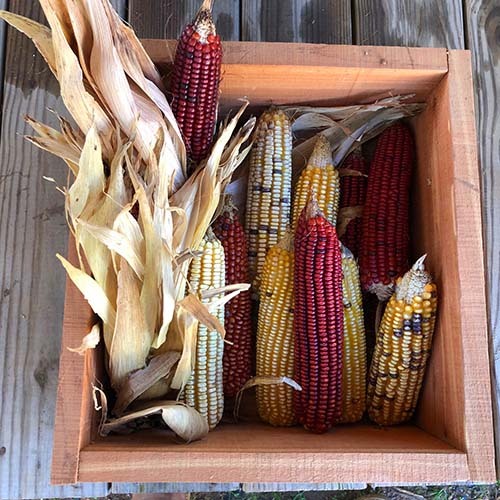 The seed originated from a man returning home from the Civil War to find almost no corn seed. He went to a Creek Indian family that had not been displaced to Oklahoma and was given several pounds of Creek seed. It has remained in this family all of these years. 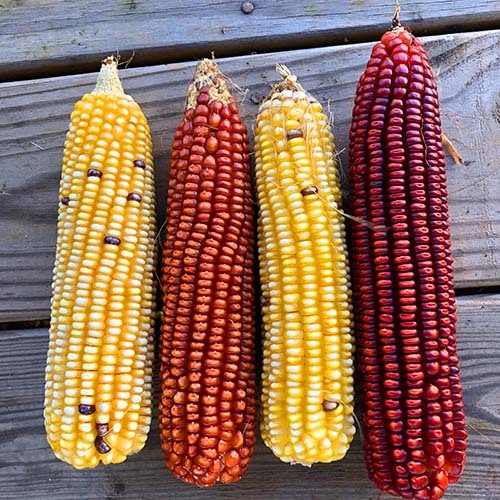 A beautiful corn! We started growing it a year ago and offer it only in oz envelopes this year. 8-10 inch beautiful ears on 10 ft plants. Great eating corn! Should make fine corn meal but we just don’t know yet. * Items listed as "Out of Stock" are no longer available this season. We plan to have them in stock again next year. It is our purpose to teach our fellow man . . . our fellow Americans to feed themselves; to raise a safe and historically proven food source that our forefathers planted . . . and to teach our fellow man to become self-sufficient through sustainable agriculture . . . planting an uncontaminated, heirloom, non-GMO food source.